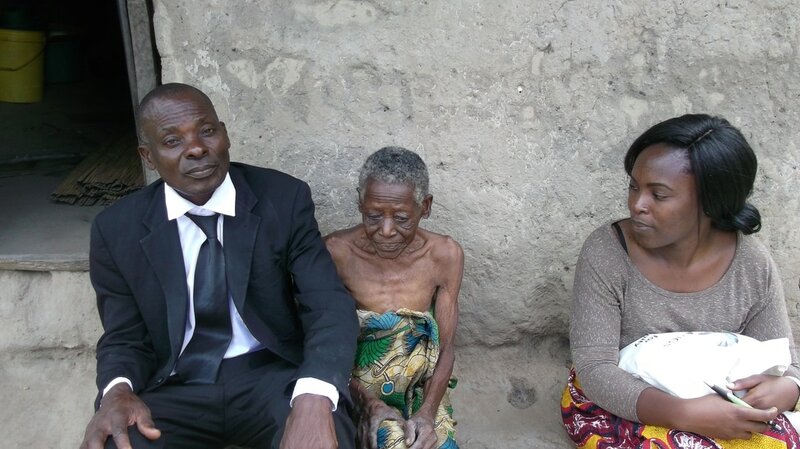 Abundance distributed blankets to elderly at Mbando village in Malawi this winter on 4 June 2016. The Abundance Team distributed 95 fuel efficient stoves at Mbando Village in Malawi, Machinga District, Malawi, on the 29th of April 2016. An assessment was also done to understand community's needs. 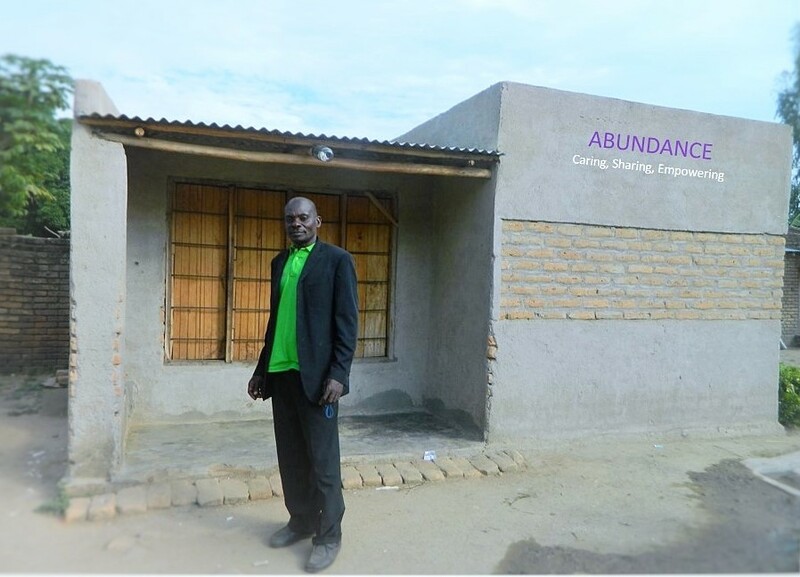 Malawi was chosen as the first country to begin Abundance's work as it was the country that inspired the Founder to create the organization. It is one of the most needy countries in the world. Malawi is located in South-East Africa, with breath-taking natural beauty, but challenged by high levels of poverty and environmental degradation. Malawi has a population of approximately 17.2 million (2015), of which 51.75% live below the poverty line of $3.10 a day and 33.29% live below $1.90 a day (2011 Worldbank data). It ranks 173 out of 188 countries on the 2014 Human Development Index with a Gross National Income (per capita) of US$ 372 in 2015. More than 89% of households in Malawi depend on income derived wholly or in part, from the exploitation of the natural resource, mainly through agriculture, forestry and fisheries. Between 1972 and 1992 the Malawi’s forest cover is estimated to have fallen from 46% to 20% at a deforestation rate of 2.8% per annum. Forests and trees play essential roles in ensuring the continued productivity of the natural resource base which underpins much of economic activity in Malawi. Cyril Anand, Thangam Pillai and Deepa Pullanikkatil from Doha (Qatar), Dubai (UAE) and Mbabane (Swaziland) came together to begin charitable work in Malawi in April 2016. 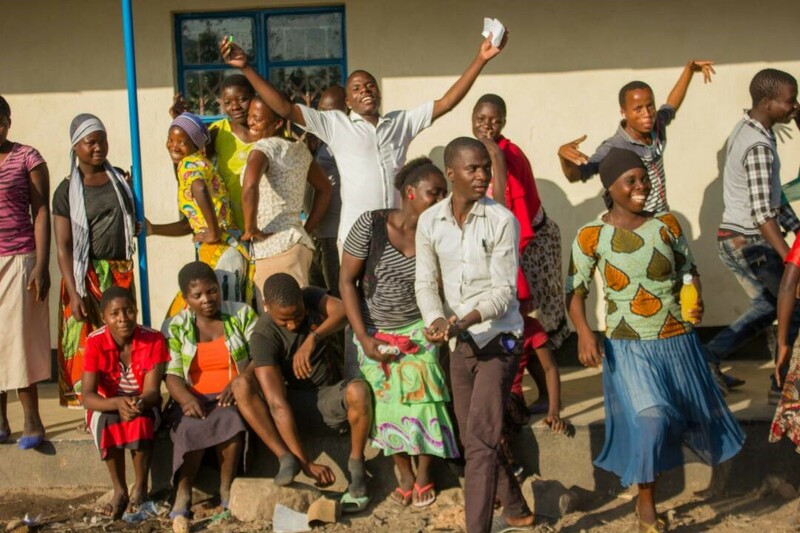 The initial focal area were communities along Lake Chilwa Shores (Southern Malawi) and activities included needs assessment and distribution of fuel efficient stoves. Lake Chilwa is a Ramsar site, a UNESCO Biodiversity Reserve and is a fragile lake ecosystem which has dried up 10 times in past 100 years, making the people who depend on the lake for their livelihoods prone to environmental shocks. Many interventions are needed here as the communities are extremely poor and vulnerable. A ranking exercise was done with communities to identify priority areas for intervention. The Abundance team are working on an integrated approach with the intention of creating deep impact improving human well being and allowing nature to thrive in this area. Let's share abundance...one village at a time! Humble beginnings. Abundance's office at Mbando village in Malawi. Moses Phulusa, the community Coordinator. ​Abundance has forged a partnership with University of Glasgow in Scotland and with other organizations in Africa and UK to work on a network called "Sustainable Futures in Africa" . Meetings were held in Dec 2016 and May 2017 in Glasgow. 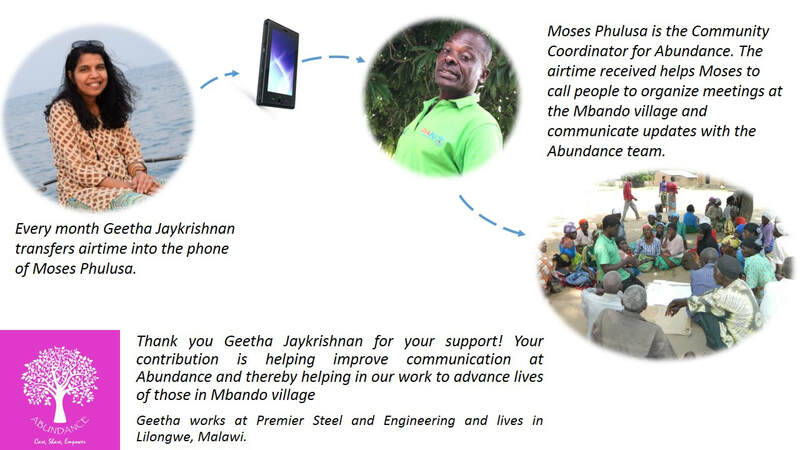 Geeta Jay has consistently donated airtime for our Community Coordinator, helping make communication at Abundance seamless. 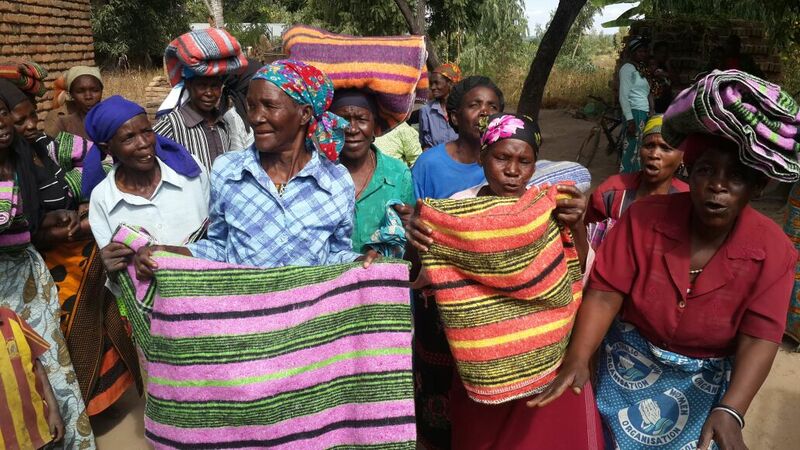 Abundance team distributed blankets to elderly at Mbando village on 4 June 2016. You at Mbando village trained on Sexual and Reproductive Health and making of reusable sanitary pads July 2017.